On 23rd-24th April 2016 at the Park Inn, Heathrow, music lovers will be able to feast their passion for vinyl at the UK’s only dedicated analogue music event. With new and used vinyl for sale; turntables galore; hi-fi systems; artwork displays; seminars on turntable set up; classic album listening sessions; plus live music, there will be something for everyone no matter what their relationship with vinyl. 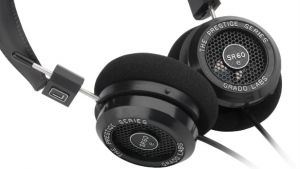 Hifiheadphones are offering the chance to WIN a pair of Grado SR60e headphones to one lucky winner. This competition is exclusively for people attending the Stylus show - make your way to Syndicate Room 4 to enter. Good luck! 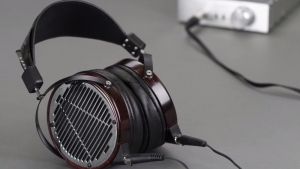 The new addition to Audeze's esteemed LCD range, the LCD-4, promises to sit at the top of their tree and deservedly so. Offering new levels of clarity and atmosphere, this new model will wring every last drop of enjoyment from your music collection for years to come - Hifiheadphones will have them available to listen to at this years Stylus Vinyl Show in London. The Audio Consultants will be using the Nimbus chassis resonance control components throughout their system in Syndicate 6. 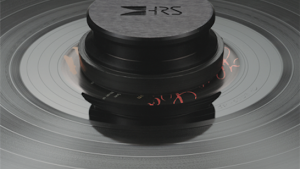 This will include the ADL and ADH record weights that enhance the sound of any turntable. Special prices will be available for orders placed at the show.